Situated at the corner of the Bath Road and Suffolk Street, there was a public house called the Brighton Arms​ on this site from at least 1849. It was owned by the Anglo Bavarian Brewery Company and later by the Cheltenham Original Brewery Company Limited. There was a succession of landlords and landladies, most of whom only stayed for three or four years. Click on this icon to download a list of many of the licensees of the Brighton Arms. Among these was Benjamin Johns who took over the licence in 1907, in the same year that he married Maria Turner, when they were both in their sixties. In 1881, Maria had worked as a barmaid for her brother John Turner, the publican at The Ram Hotel, off the High Street. Prior to her marriage she was also for many years the publican of the Brunswick Arms. Benjamin and Maria ran the Brighton Arms until 1911. He had been married previously and remarried after Maria's death in 1918. Albert Parker took over the licence in May 1915 and it transferred to his wife Edith whilst he was away serving in the First World War. After the war Albert left the Brighton Arms and traded as an upholsterer from his home in Suffolk Street. Edith predeceased him leaving a daughter, Olive. Albert, who remarried and had a second family, died in 1970 leaving his wife Ivy and daughter Daphne. The licence at the Brighton Arms was surrendered in 1922, the final landlord being George Hopcraft, who seems to have been used by the brewery to close several pubs in the area. For a short time in the mid 1920s Mr A.E. Slocombe operated a cycle dealership here called the Crown Cycle Works. 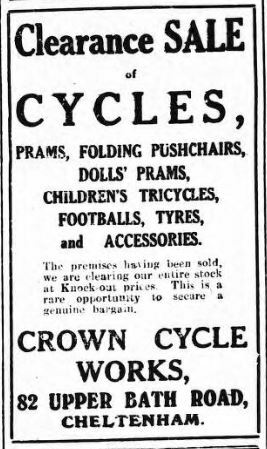 In addition to bicycles they sold children's pushchairs and prams. During the 1930s this property became the Collum End Dairy, with Mr Arthur Millard as proprietor. A double-fronted shop with steps up to the centre door, it was quite large, with a paved area in front. The living accommodation was on three levels. The sitting room was behind the shop and three bedrooms and a bathroom were on the upper floor. 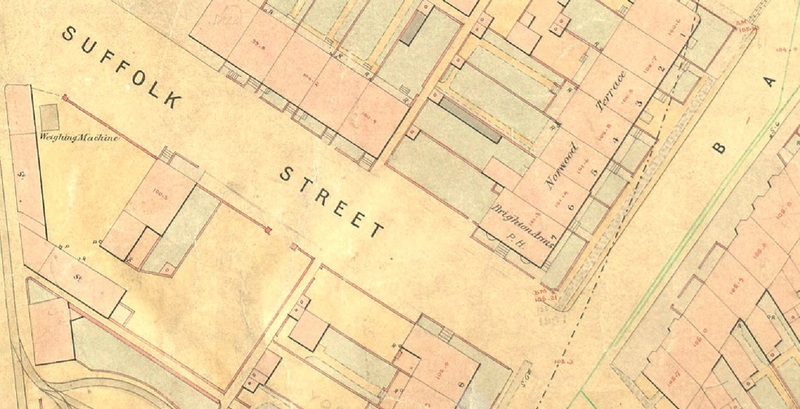 The kitchen, scullery and the Dairy itself were housed in the semi-basement, from which there was a forecourt and entrances to Suffolk Street. A coal and cycle shed and the usual outside toilet were situated in the yard at the back. Now known as 189 Bath Road, the property was presented for auction by G.H. Bayley and Son in September 1938. Mr Herbert George Staight was the next occupant. 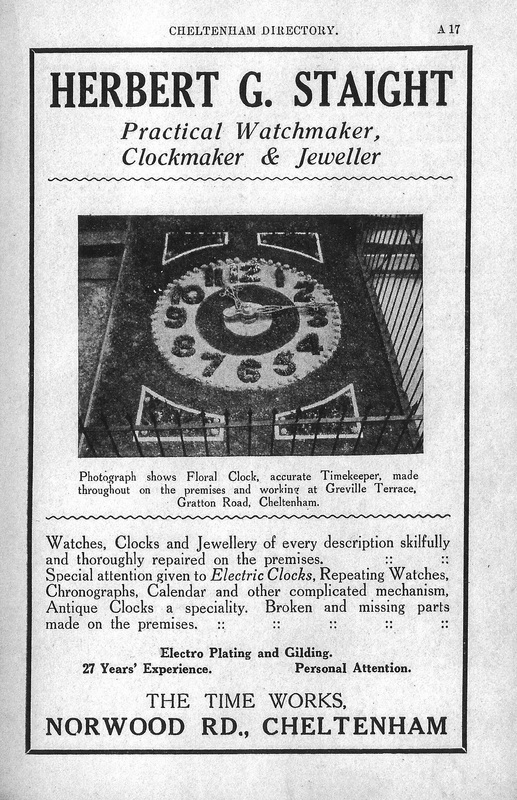 Described in 1940 as a “Practical Watchmaker, Clockmaker and Jeweller with 30 Years Experience” he had previously operated from Staight’s Time Works in Norwood Road. During World War II it was compulsory for every man between 18 - 60 years old to register for fire watching, to guard against enemy incendiary bombs, and Mr Staight served as a Fire Guard Superintendent. Mr Staight was a short man with dark straight hair who would wear his glasses perched on the end of his nose! 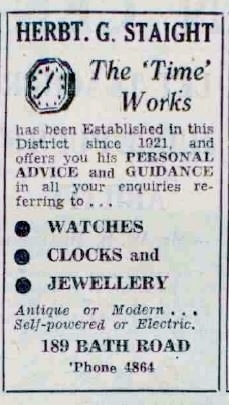 He sold moderately priced, good quality jewellery and specialised in antique clocks. Faulty items were “skilfully and thoroughly repaired on the premises” with Mr Staight’s personal attention. He also maintained church clocks in the area, including the one at St Philips and St James. Mr Staight was at the Bath Road shop for over 25 years and may be remembered for the beautiful floral clock he had in his garden in nearby Gratton Road and, later, at his home “Flos Chronos” in Mead Road, Leckhampton. Staight's closed in 1962 and after major refurbishment and alterations 189 Bath Road became a sub-branch of Lloyds Bank, which was opened in March 1966 by Miss Margaret Witcomb, the Cashier-in-Chief. 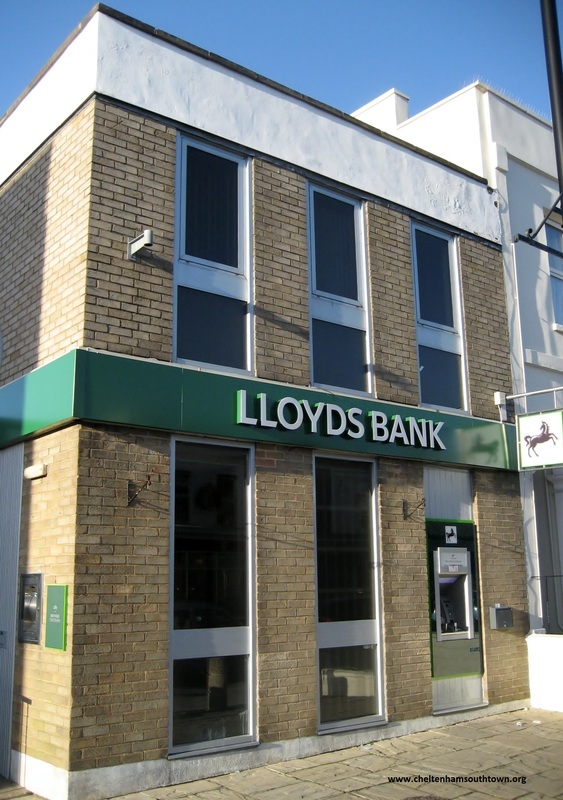 In 1970, when this became a full branch of the bank, Miss Witcomb was Lloyds first lady bank manager. More than 50 years later the bank still occupies this site.